Inalsa Fashion Hair Straightener is here for quick and easy hair styling! Powered with 90 x 28 mm black aluminium heating plate, it comes with a cool touch plastic body and comfortable grip. 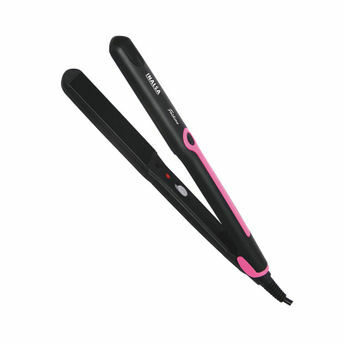 The hair straightener is light, compact and has been designed with travel-friendly input supply making it comfortable to use and easy to carry around. Get sleek, smoooth and effortless hair styling options with this hair straightener that ensures damage-free, stylish looking hair instantly.